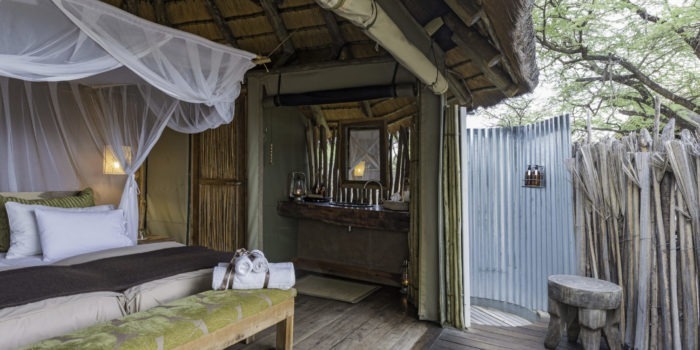 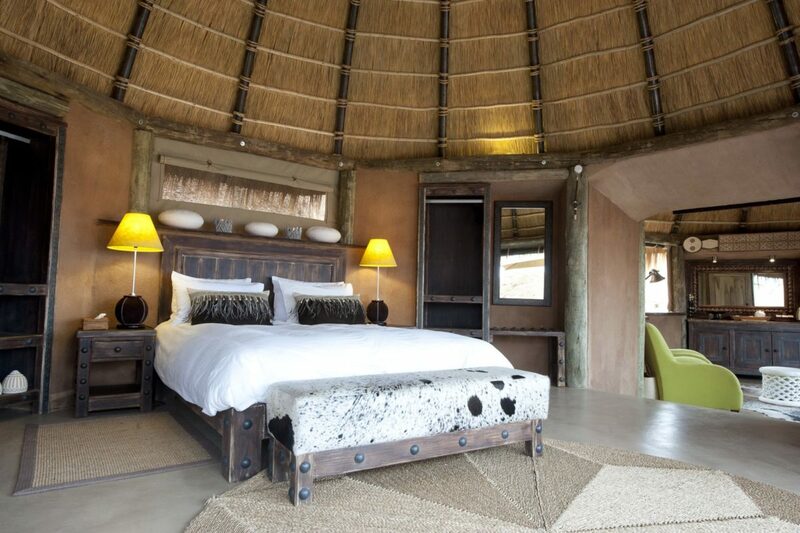 "A safariFRANK favourite, one of the best settings anywhere! " 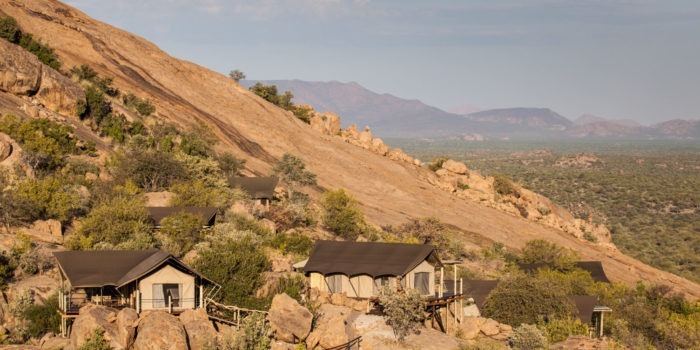 Where the rocks have tumbled down the hill to reveal this gem of a camp. 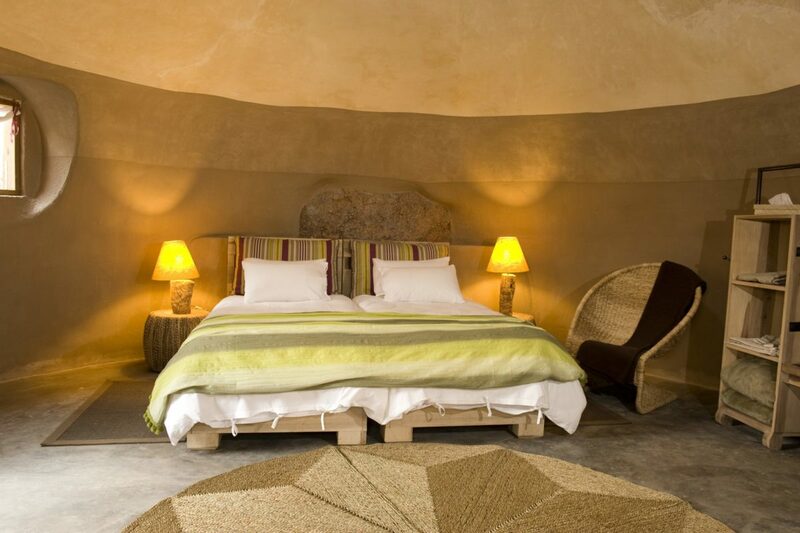 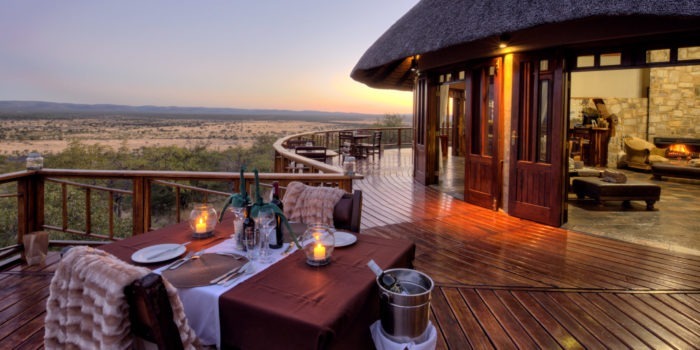 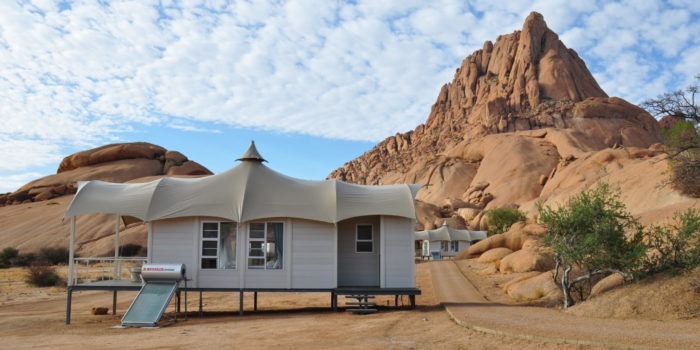 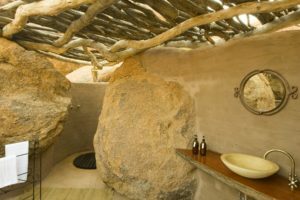 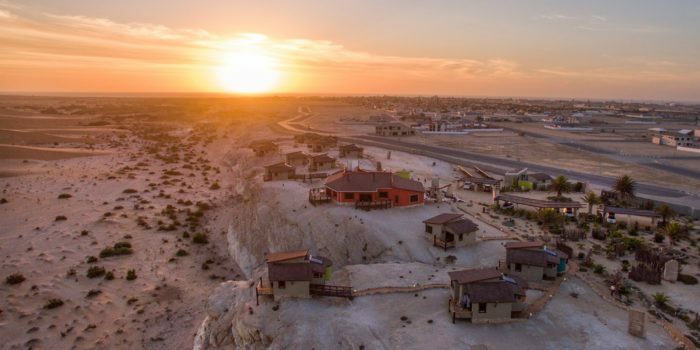 The eco-friendly Camp Kipwe is nestled into rock formations offering panoramic views over the Aba Huab valley, which extends between the dry rivers Ugab and Huab. 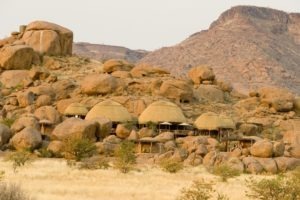 Nine bungalows are scattered at the foot of an imposing granite formation providing a unique ambience of privacy and space. 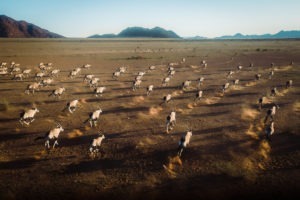 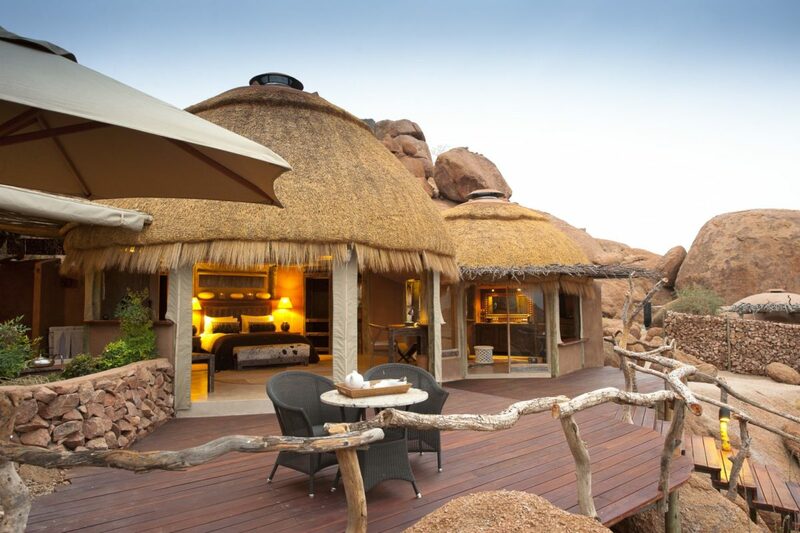 Endless views of Damaraland and breath-taking sunsets complete this unique scenery. 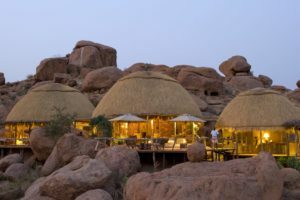 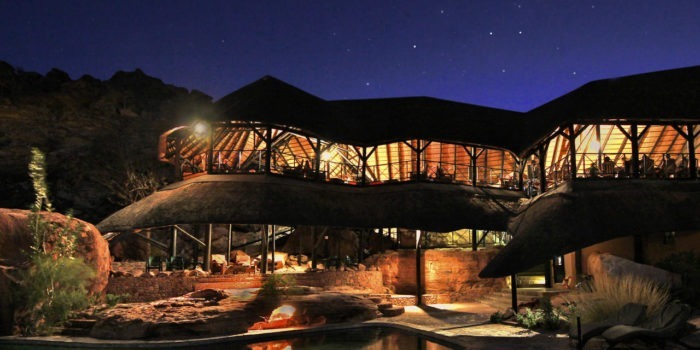 The thatched-roof main building offers opportunities to refresh in the swimming pool nestled in the rocks and share the exciting experiences of the day with a cool sundowner drink. 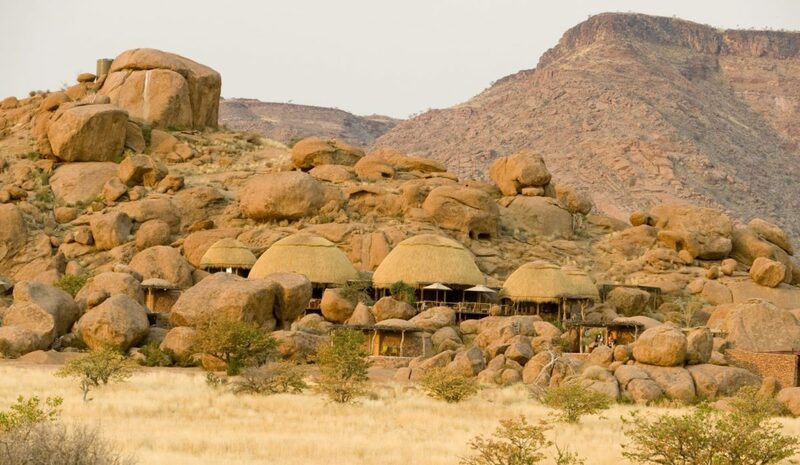 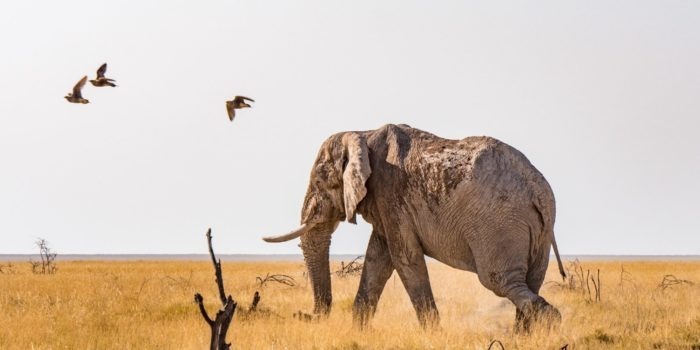 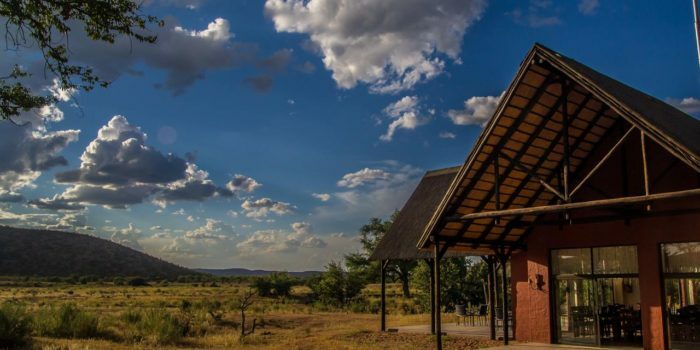 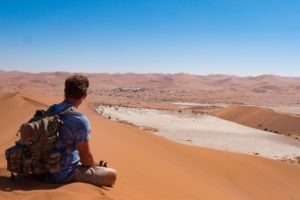 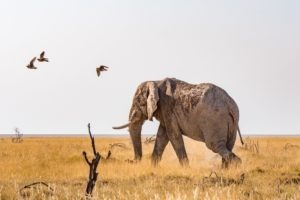 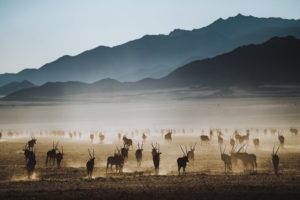 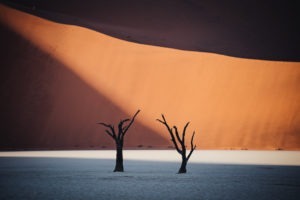 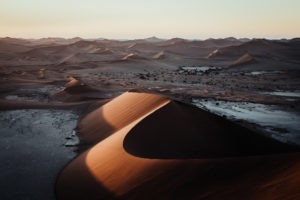 Explore the surrounding space an early morning game drive in search of elusive desert elephants, go on a hike with a local guide in the ancient surroundings of the Aba Huab River or visit Twyfelfontein, Namibia’s first World Heritage Site. A truly unique location: huddled in rocks, with sweeping views over Damaraland. 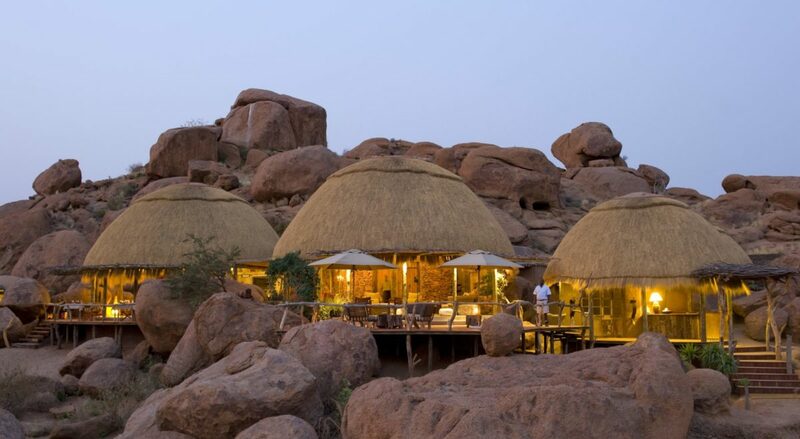 Unforgettable sundowners and a special reflection of light between the rock formations. 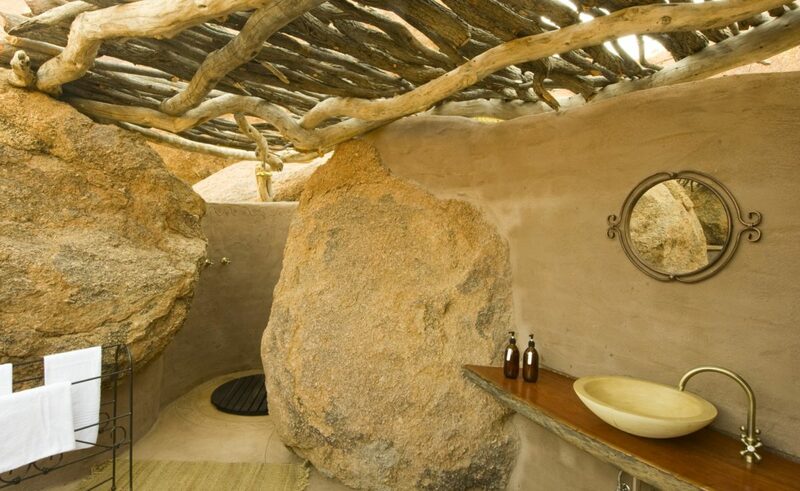 Natural ambience with a perfect mix of privacy and space. 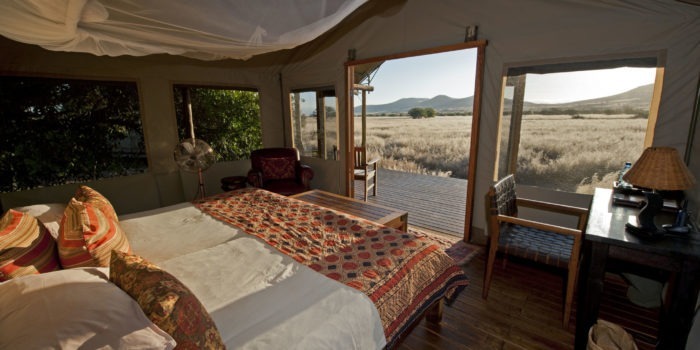 Activities that provide guests with an appreciation for the geology, botany and wildlife of the area.